In the hands of a rock musician it can shake a sports stadium, so it is ironic that in its original form the guitar is one of the quietest of the standard instruments in western music. It has been said that the Classical guitar doesn’t so much sound quiet as distant – that may be true, but in reality it is easily overpowered by most orchestral instruments. For this reason, writing a successful guitar concerto, pitting the guitar against a full orchestra, must be one of the daunting challenges a composer can face. In fact, it can be argued that it has never been done with complete success. The best known example is the Concierto de Aranjuez by Juaquin Rodrigo, the Adagio from which has been rearranged and reinterpreted by performers ranging from Miles Davis to the Grimethorpe Colliery Band. However, in the concerto’s original form, the guitar is usually amplified in order to balance with the orchestra. Many composers have tried to make this combination work – the sound of the guitar is so evocative that it is too compelling to avoid – and all have to deal with the question of balance. Some of the most successful examples, by Castelnuovo-Tedesco, Samuel Zyman, Leo Brower, and Manuel Ponce have dealt with it by alternating the forces, allowing the polyphonic nature of the guitar to let it stand alone. However, in today’s large halls, some amplification is still almost always used to allow the instrument to have some prese nce. 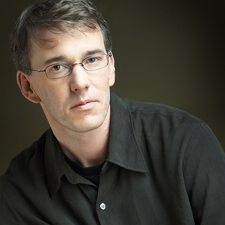 Seattle audiences will have an opportunity to hear another example of the genre this month, when Philharmonia Northwest presents a performance of a guitar concerto called “The Underdog” (an apt description of guitar versus orchestra) by Portland composer Bryan Johanson. The work will be performed by the exciting young Welsh guitarist Michael Partington. The performance is Sunday, March 18th at 2:30 p.m. At St. Stephen’s Episcopal Church, 4805 NE 45th St. in Seattle, and also includes Rossinni’s Overture to the Barber of Seville, and Schubert’s Symphony #6, the “Little C Major”. Tickets are available at the door or through their Web site, http://www.philharmonianw.org/.